(4S/OLC) (Valencia, Venezuela) 2012 - 2016. Photos. Framable Color Prints and Posters. Digital Sharp Images. Aviation Gifts. Slide Shows. 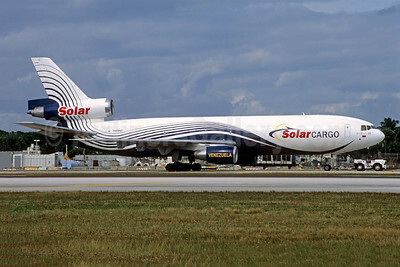 Solar Cargo Venezuela McDonnell Douglas DC-10-30 (F) YV524T (msn 47840) MIA (Jacques Guillem Collection). Image: 944139.